Great news for school bus fleet operators and children! NYSERDA’s Clean Air School Bus Program, Round 3 has been renewed for 2014! As in the past, schools can apply for funding for diesel emission reduction technologies, diesel fuel-fired coolant heaters, and alternative fuel school buses. An important change this year is that there is no longer a cap on the amount of money each fleet can receive for fuel-fired heaters. Fleets that had previously reached the maximum can apply to receive more heaters. Applicants operating a school bus fleet can apply for funding to have their currently operating school buses retrofitted with diesel emission reduction technology, diesel fuel-fired coolant heaters, or alternative fuel school buses. Eligible applicants include municipalities and school districts, and private contractors that own or operate school buses in select counties. Funding is available on an open-enrollment (first-come, first-served) basis, but hurry because there is not much funding remaining! Through this Program, funds may be awarded for up to 100% of the equipment and installation costs of the eligible emission reduction technologies, coolant heaters, and alternative fuel school buses for one or more school buses, up to a fixed amount for each type of project. 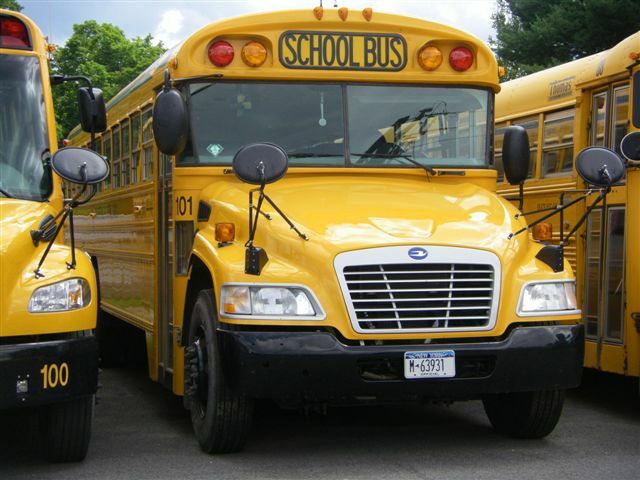 You can download the entire program description and application at http://www.nyserda.ny.gov/Funding-Opportunities/Current-Funding-Opportunities/PON-1896-New-York-State-Clean-Air-School-Bus-Program-Round-3.aspx. Contact Adam Ruder with questions at (518) 862-1090 x3411 or ar3@nyserda.ny.gov.